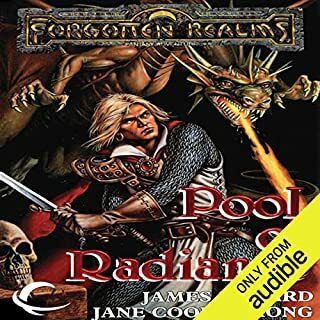 One of the first Forgotten Realms titles ever published! 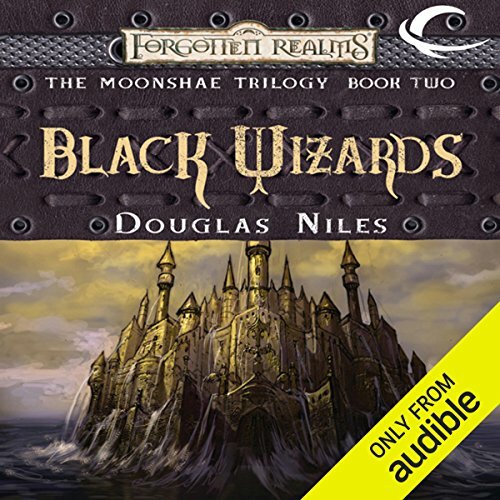 Where does Black Wizards rank among all the audiobooks you’ve listened to so far? 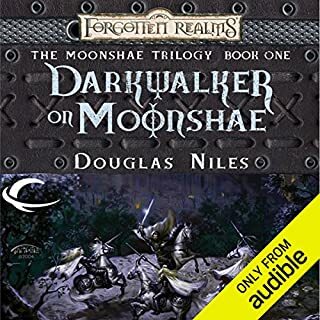 Enjoyed the characters and always a fan of Douglas Niles. I enjoyed her voice and the characters a lot. Second book I have heard narrated by her and she does not disappoint. This story is amazing and fun... Though I might be biased being a fan of the Druid class in Dungeons and Dragons. The reader incorrectly pronounces many if the terms, the worst veins the goddess Chauntea. It's not a big deal though. Great read and audio format was a nice convenience. 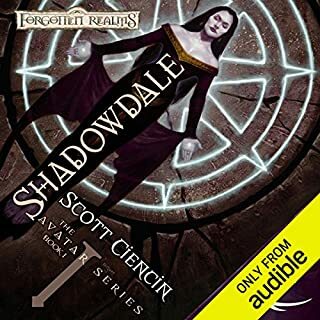 I loved this book when it first came out, so I purchased the trilogy on Audible. That was a huge waste of money. I couldn't get past the 1st chapter with the narrator saying Fuh-folk when 5 seconds on the internet will tell you Ffolk is pronounced Folk. The narrator also pronounced Bhaal not as Ball but Buh-hall. Truly terrible making me stop listening after 1 chapter. 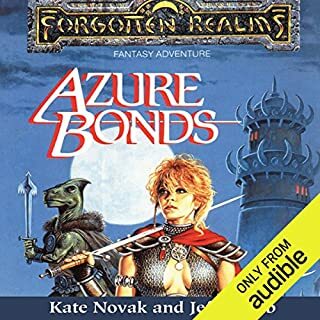 The story isn't bad for gamer fiction, but the narrator seemed to have no idea what she was reading, never changed her tone or inflection from battle to romance to introspection, not to mention pronunciation mistakes. Imagine listening to someone reading Silence of The Lambs like Mary Poppins! I don't know if it was early in Dara Roseburg's career or what, but her reading style is broken and disjointed. So much so that it is sometimes difficult to even enjoy the story, and her pronunciation mistakes and littered thought the entire book. I'm hoping by the third one she has improved, but if the second is any indication, it's unlikely. great sorry, mediocre reading. 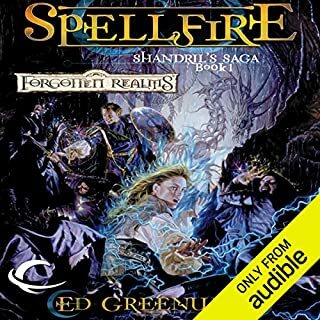 I thought this book was decent generic fantasy, nothing special but entertaining. The narrator might be the worst I have heard, she mispronounced words, had a whiney annoying voice at times and the sound volume seemed to go up and down. 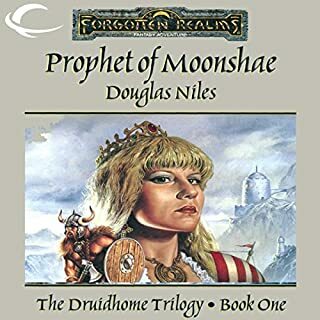 Would you try another book from Douglas Niles and/or Dara Rosenberg? I struggled with this fantastic story for one reason alone DARA !! How she still gets work is beyond me. She is made it very hardwork to listen to. There are much better Narrators tan this woman. Just awful. Plain awful. She has no understanding of the subject matter and should be kept away form any of this and stick to reading children's books. What a waste!! I gave a ZERO star review but you can't submit a review without giving a rating on performance . She deserves Nothing!! !